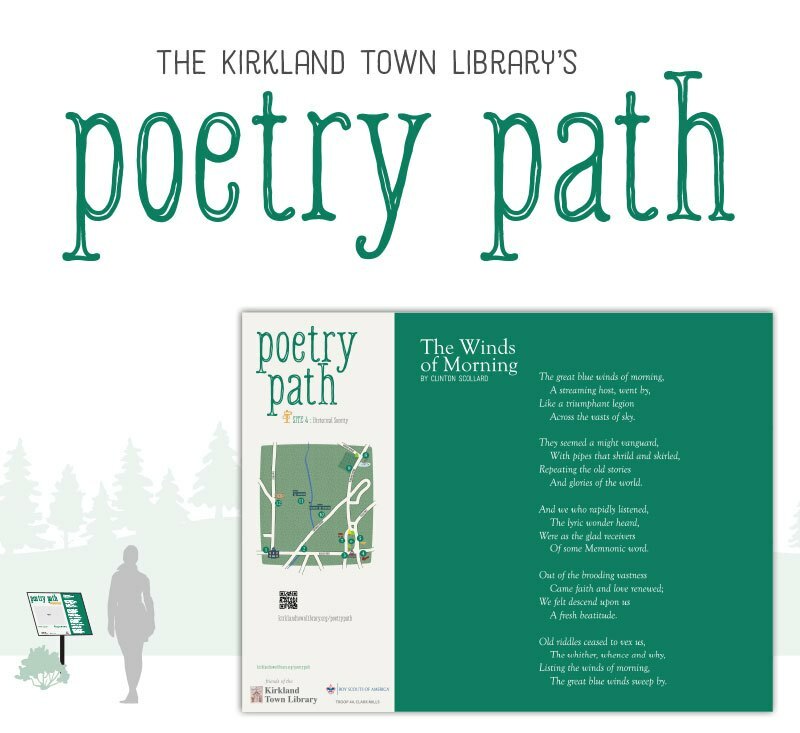 The Poetry Path is a self-guided route of 12 sites within a ½ mile of the Kirkland Town Library. The entire loop is a 1.5-mile walk, on which you can savor the unique way poems connect us to places, community and each other. Several of the poets have local connections, adding to the Path’s appeal. 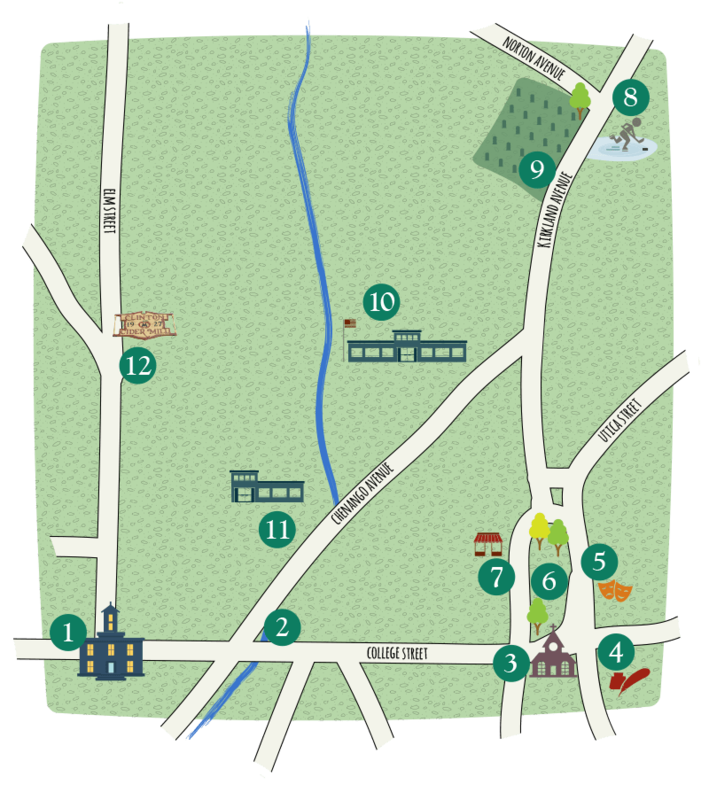 Follow the map to each outdoor location and enjoy poems chosen for their resonance with a specific Village of Clinton locale. Plus, it’s always open – as long as there is enough light to read! Valerie Worth was born in Philadelphia, Pennsylvania in 1933 to an academic family. Throughout Worth’s childhood and adolescence she lived in Pennsylvania, Florida, and Bangalore, India. She attended Swarthmore College, where she earned an English degree with High Honors. After graduation, Worth moved to Clinton, NY, where she began a literary partnership with Natalie Babbitt, author, illustrator, and wife of former Kirkland College President Samuel Babbitt. Worth published collections of poetry throughout the 1970’s and 1980’s, many of which Natalie Babbitt illustrated. The poetry in these volumes speaks to a young audience in a way that “gives children something to admire and aim for,” according to School Library Journal. For these contributions to children’s literature, Worth also received the Poetry Award for Excellence in Poetry for Children in 1991 from the National Council of Teachers of English (NCTE). The library was erected in 1871 and 1872 as a chapter house of Hamilton College’s Sigma Phi fraternity. The Kirkland Town Library Association raised funds and purchased the building in 1902. A large porch was added to the front and east sides circa 1906 but was removed in 1929. Born in 1922 in East Orange, New Jersey, Dorothy Forsythe Dale attended Middlebury College in Vermont and spent a significant amount of her adult life in Clinton, NY. When she retired from teaching kindergarten, she began writing poems accompanied by photographs that centered on her strong appreciation for nature. Her first work, Poems of Field and Forest, was published in 1993. After her death in July 2003, her family and friends composed a book of her complete works My Special World. The original iron bridge over the Chenango Canal on this site was replaced by the present stone culvert in 1899. Chenango Avenue closely follows the old canal towpath. Gerard Manley Hopkins was born in Essex, England in 1844 to a wealthy and artistic family. He attended Oxford University to pursue a degree in classics.While at Oxford, Hopkins gained an interest in Catholicism and began training to be a priest upon his graduation from university. Hopkins decided that he could not be both a poet and a priest, and burned everything he had written before 1867. Ultimately, he began writing again nine years later, when the destruction of a German ship inspired his creative spirit. Hopkins served as a priest until 1884, and subsequently began teaching as a professor of Greek in Ireland. He died of typhoid fever in 1889, at the age of forty-four. His poems were first published nearly three decades after his death, and found almost instant success with the readers of the early twentieth century. Clinton Scollard was born in Clinton, NY in 1860. Scollard attended Hamilton College, and played on the varsity baseball team, where he introduced the curveball pitch to the collegiate level of the game. He graduated at the age of twenty-one and went on to study at Harvard and Cambridge Universities. Scollard later returned to Hamilton as an Associate Professor of English, and taught for eight years from 1888-1896 and then again for one year in 1911. In the years he was not teaching, Scollard devoted his time to writing poetry. Clinton Scollard died in 1932, at the age of seventy-two. The Clinton Historical Society was originally built as the Clinton Baptist Church in 1832, making it the oldest church structure remaining in Clinton. It was purchased by the Clinton Historical Society in 1993. Naomi Guttman was born in Montreal, Canada, where she later went on to attend Concordia University. Guttman is a Professor of Literature and Creative Writing at Hamilton College. She has held residency at Yaddo in Saratoga Springs, New York and the Chateau de Lavigny in Switzerland. Guttman’s poetry is lauded with awards such as: the A. M. Klein Award for Poetry, the Adirondack Center for Writers’ Best Book of Poems, and the Central New York Book Award in Poetry. She has also received literary grants from the Canada Council for the Arts, the Constance Saltonstall Foundation for the Arts, and the Artist’s Fellowship from the New York Foundation for the Arts. 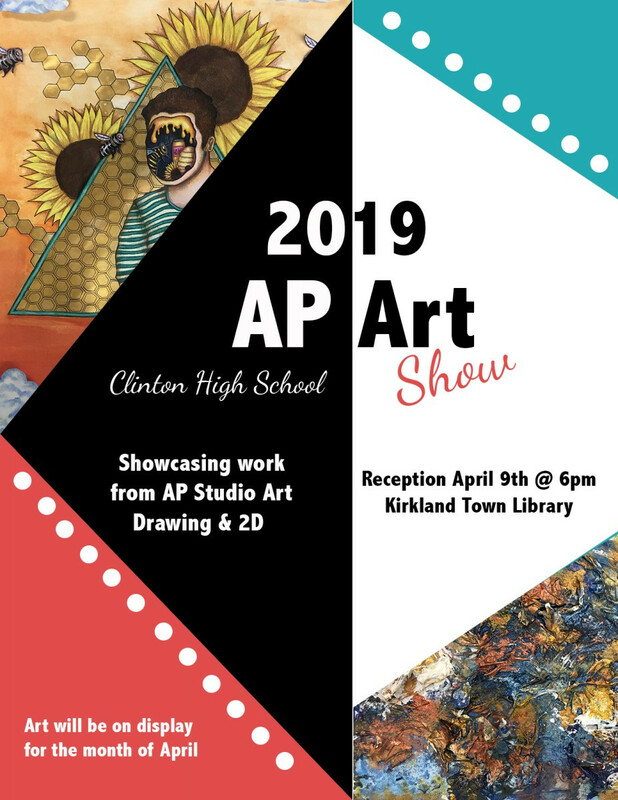 The Kirkland Art Center was erected in 1842 as the Methodist Episcopal Church of Clinton. The steeple was added in 1867 and is the only one still standing on the original churches surrounding the Village Green. In 1966, this church became the home of the Kirkland Art Center. Born in Lincolnshire, England in 1809, Alfred Lord Tennyson was a widely known Victorian poet who achieved an enduring popularity during his lifetime. Tennyson had a tumultuous family life until he left home to attend Trinity College in Cambridge. Despite a difficult entry into the writing world with his poorly received volume Poems, Tennyson’s popularity grew over time with the publication of Poems in two volumes and In Memoriam. He married Emily Sellwood in 1850, with whom he had two children, Hallam and Lionel, and he died in 1892. The Village Green was sold to the Society of Clinton in 1794 by Moses Foote for the sum of one pound. Carl Sandburg was born to a poor family in Illinois, 1879. He left school at thirteen, lived temporarily as a hobo, fought in the Mexican-American War, and attended but never graduated from college. Sandburg’s poetry is mainly free-verse and is often compared to the poetry of Walt Whitman. Although many of Sandburg’s contemporaries dismissed his style as simplistic, others noted his distinctive style and skill in writing about industrial America. Throughout his lifetime, Sandburg won three Pulitzer prizes and received numerous honors for his contributions to contemporary literature. The buildings on West Park Row appear much the same today as they did in the 1870s when they were rebuilt after tow major fires. A trolley line circling the Village Green ran from Clinton to Utica from 1902 to 1936. Gail Mazur was born in Cambridge, Massachusetts and is a graduate of Smith College. She founded the Blacksmith House Poetry Center in 1973, which brought together poets from around the world and held benefit readings for causes such as AIDS research. In 1978, Mazur published her first collection, Nightfire, and subsequently published several more award-winning collections, garnering praise for her unique, honest style of poetry. She is a Distinguished Senior Writer in Residence at Emerson College, and has received fellowships from the Radcliffe Institute, the Bunting Institute of Radcliffe College, and the National Endowment for the Arts. The original Clinton Arena, built on this site in 1948, was destroyed by fire in 1953. This structure replaced it later that year. Clinton’s ice hockey team, the Comets, played here until 1973. Edward Stanley was instrumental in the establishment of the Arena and in Clinton hockey. Christina Rossetti was an influential Victorian poet, best known for her religiously themed writings. She was born in London in 1830 to an artistic family: one of her brothers, Dante Gabriel Rossetti was a poet and painter, while another brother, William Michael, was an art and literary critic and editor. Despite illnesses later in her life, she continued to write works including Called to be Saints (1888), and The Face of the Deep (1892), until she died of cancer in 1894. The Old Burial Ground was established in 1788 as a gift from Bartholomew Pond. Forty-nine Revolutionary War veterans are buried here. Robert Louis Stevenson, a Scottish poet and novelist, was born in Edinburgh in 1850. In his youth, Stevenson suffered from frequent illnesses that confined him to bed, which fostered his love for reading and writing. Despite his illnesses, Stevenson traveled widely. His experiences inspired much of hi writing, sch as his most widely recognized works Treasure Island and The Strange Case of Dr. Jekyll and Mr. Hyde. Stevenson married Fanny Van de Grift Osbourne in 1880 and died in Samoa in 1894. Born in Brussels in 185 to Dutch painter Lawrence Alma-Tadema and Marie Pauline Gressin Dumuolin, Laurence Alma-Tadema was a writer of many talents. She is notable for her ventures into various genres, from songwriting, to playwriting, to poetry, to novels. Alma-Tadema never married and lived in Kent, England for much of her life until she died in London in 1940. More detailed information about Alma-Tadema’s life remains elusive, rendering her an enigmatic figure. The site of Clinton School was originally occupied by the Cottage Seminary (1862-1898), then the Clinton Preparatory School for boys (1898-1913). This structure was bulit in 1932 as the Clinton Junior Senior High School with additions in 1957 and 1990. John Keats was an English Romantic poet, born in London in 1795. At age nine, Keats lost his father due to a horse-riding accident and his grandmother took charge of caring for him and his three siblings. Keats studied anatomy and physiology, yet he grew restless and turned to poetry, which he considered his calling. During his lifetime, Keats faced criticism over his lack of a formal literary education and middle-class background. Today, critics praise his mastery of the English language and skill in various poetic forms, from the Greek epic to the English ode. Although Keats died from tuberculosis at age twenty-five, he published fifty-four poems in three volumes over his short lifetime and had an enduring effect on English poetry. The Clinton Cider Mill was built in 1927 to replace an earlier mill, constructed in the 1800’s on this same site. The Wentworth family owned the business from 1900, until it was purchased by its current owners. Opened in August 2016, The Poetry Path is the 2016 Eagle Scout Project of a member of Troop 44, Clark Mills. Funding for the Path was generously provided by donors and The Friends of the Kirkland Town Library. 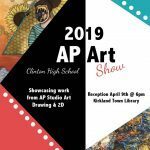 The Town of Kirkland and Village of Clinton boards, as well as the Clinton Historical Preservation Commission were instrumental in the project’s completion. If you enjoyed walking the Poetry Path, visit the Root Glen on Hamilton College’s campus which contains some 65 species of trees, dozens of shrubs and scores of varieties of flowers, and The Path at Sunset Hill on Grant Road, a meditative outdoor environment that weaves together many elements, including woods, open spaces, a bridge, a shelter and a labyrinth. “Alfred Lord Tennyson.” Poets.org, https://www.poets.org/poetsorg/poet/alfred-lord-tennyson, Accessed 10 April 2019. “Alfred Tennyson.” Poetry Foundation, https://www.poetryfoundation.org/poets/alfred-tennyson, Accessed 10 April 2019. “Bio/Photos.” people.hamilton.edu. Hamilton College, http://people.hamilton.edu/nguttman/bio-photos, Accessed 23 Oct. 2018. Brown, Susan, et al. “Laurence Alma-Tadema.” Orlando, http://orlando.cambridge.org/public/svPeople?person_id=almala, Accessed 10 April 2019. “Carl Sandburg.” Poets.org, https://www.poets.org/poetsorg/poet/carl-sandburg, Accessed 10 April 2019. “Christina Rossetti.” Poetry Foundation, https://www.poetryfoundation.org/poets/christina-rossetti, Accessed 10 April 2019. Dictionary of American Biography (Vol. VIII). 1935. p.485. “Gail Mazur.”Poetry Foundation, https://www.poetryfoundation.org/poets/gail-mazur, Accessed 10 April 2019. “Gerard Manley Hopkins.” poets.org. https://www.poets.org/poetsorg/poet/gerard-manley-hopkins, Accessed 23 Oct. 2018. Haralson, Eric L.; John Hollander (1998). Encyclopedia of American Poetry: The Nineteenth Century. Routledge. Jenkins, Alice. “Gerard Manley Hopkins.” Oxford Bibliographies. Oxford University Press, Modified 2 March 2011,http://www.oxfordbibliographies.com/view/document/obo-9780199799558/obo-9780199799558-0034.xml, Accessed 23 Oct. 2018. “John Keats.” Poetry Foundation, https://www.poetryfoundation.org/poets/john-keats, Accessed 10 April 2019. “Laurence Alma-Tadema.” Poets.org, https://www.poets.org/poetsorg/poet/laurence-alma-tadema, Accessed 10 April 2019. “Mission.” Yaddo. Corporation of Yaddo, 2018, https://www.yaddo.org/about/mission/, Accessed 23 Oct. 2018. “Naomi Guttman.” Hamilton College, https://www.hamilton.edu/academics/our-faculty/directory/faculty-detail/naomi-guttman, Accessed 23 Oct. 2018. National Cyclopaedia of American Biography (Vol. 23). 1933. p. 160. “Residence.” Château de Lavigny. http://www.chateaudelavigny.ch/residence/#, Accessed 23 Oct. 2018. Rittenhouse, Jessie B. (2002 (orig. 1917)). The Little Book of Modern Verse. New York City. “Robert Louis Stevenson.” Poetry Foundation, https://www.poetryfoundation.org/poets/robert-louis-stevenson, Accessed 10 April 2019. “Valerie Worth.” Macmillan Publishers. https://us.macmillan.com/author/valerieworth/, Accessed 23 Oct. 2018.